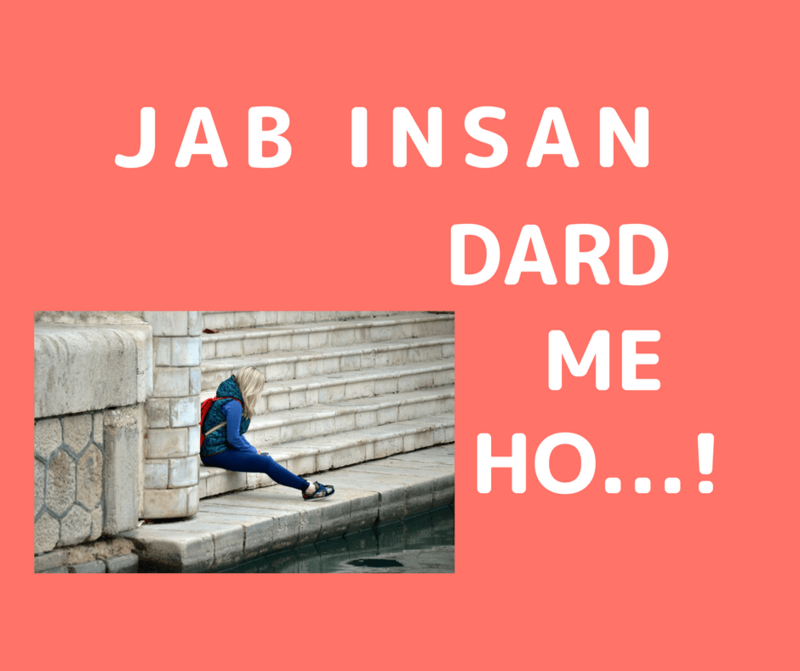 Jab Insan Dard me ho…!!! राहो मे गिरे पत्तो को देख कर भी सहम जाता है..! पत्झड़ का सामना करना पड़ता है.! अदावते, तगाफ़्हुल, रंजिश, दर्द और बहुत कुछ जिस्की उम्मीद नहीं होती..! रिश्तो मे दरार, तनाव और तक़्लीफ़े..! दो लोग अलग हो जाते है..! वो पेड़ तो नये पत्तो के साथ नयी दुनिया बसा लेता है..! खाद हो जाता है, या वहिन ज़मीन मे पड़ा रहता है..! तनाव और उतार चढ़ाव, मे वो पत्ता जो उस पेड़ कि खुब्सुरती था वो मर चुका होता है और वो पेड़ दूसरे को ढूँढ लेता है ..! कि पेड़ का सिर्फ़ तना होता है..! पत्तिया सदेव पराई होती है..! दुनिया मे कभी रुकना नहीं चाहिए..! के भी कई रंग है..! What i do not realize is in reality how you’re now not actually much more well-favored than you may be now. You’re so intelligent. You realize therefore significantly when it comes to this matter, made me in my opinion believe it from numerous varied angles. Its like men and women aren’t fascinated except it is something to do with Woman gaga! Your own stuffs great. All the time care for it up! It’s awesome to pay a visit this web page and reading the views of all mates on the topic of this piece of writing, while I am also keen of getting knowledge. Spot on with this write-up, I seriously believe this site needs much more attention. I’ll probably be back again to read more, thanks for the advice! Can I just say what a relief to uncover somebody that genuinely knows what they’re discussing on the net.